The Price of Noncompliance – When it comes to relocating employees across international borders, not having the right paperwork can turn an exciting opportunity into a nightmare for not only the travelling employee, but for the sponsoring company, too. Besides just having transferees stuck in travel limbo, errors in work permits, visas, passports, and other work/travel/residency documents can result in heavy fines and penalties for companies. Here is a short list of the punishments doled out by various countries when companies are in noncompliance, such as being caught with non-compliant employees. Company may be refused permission to sponsor future foreign employees; existing 457 status workers and their dependents may have visas removed. For hiring a foreign worker without authorization, the employer is subject to $50,000 fine and/or two years imprisonment. For misrepresentation or counseling of misrepresentation: $100,000 and/or five years imprisonment. Employee may be deported and/or barred from future entry to Canada. Fine for company of up to €75,000 per noncompliant employee plus additional penalties including debarment from continuing the business for up to five years. According to Law §17 “OWIG,” the employee may be fined up to €1000. According to Law §30 “OWIG,” the employer may be fined up to €500,000 for an offense of negligence, or up to €1 million for an offense with intent. Fines for company of up to 60,000 HKD. The authorities can order the closure of the company for up to five years. For employer, a fine of up to 3 million yen and/or incarceration for up to three years for illegal entry, overstaying and hiring foreign workers without authorization. For engaging in activities outside those authorized, an employee is subject to a fine of up to 2 million yen and/or incarceration for up to one year, plus barred from future entry to Japan. Fines for company of up to 20 million won or two-year incarceration. Fines for company of up to €60,000. The authorities can order the closure of the company for up to five years. Fines for company of up to £10,000 per noncompliant employee. The employer is subject to a fine of $110 to $1,100 per employee for technical paperwork violations. The employer may be fined from $375 to $3,200 per employee for an employer’s first intentional violation, and up to $16,000 per employee for repeat offenses, in addition to criminal charges and penalties. Global Mobility Solutions (GMS) will provide organization and collaboration of client documentation and manage the entire visa and immigration process. Upon request, we can track and obtain visa renewals, extensions, and cancellations, as well as assist the employee and family members in obtaining and/or canceling work permits, residency cards, visas, and registrations at appropriate consulates, to ensure there are no issues with noncompliance. 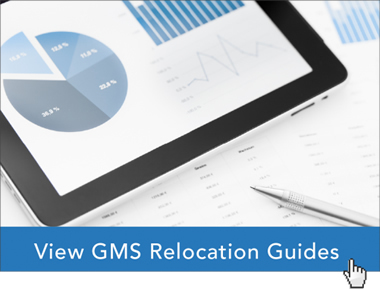 Learn more about the myriad of GMS programs designed to ensure that your global relocation efforts go smoothly, with as little stress and costs as possible. Talk with a relocation expert at Global Mobility solutions now: 1-800-617-1904.